It's nearly February and that means it's almost Valentine's Day. I love Valentine's Day, or any excuse to get out the crape paper and confetti. Here's a roundup of 11 things to help you celebrate with your Valentine. First things first, let's talk breakfast. LOVE this Valentine's Day breakfast idea from ACMoore. Such a fun way to make eating breakfast extra special. At ACMoore.com you'll find the tutorial complete with recipes for those little muffins and donuts. Though to save time, when I recreate this on Valentine's Day, I'll probably be using remade donuts. This sterling silver necklace is hand stamped by Azure Rose. 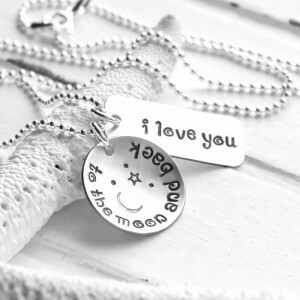 I love you to the moon and back... How adorable is that? Cute enough to gift for Valentine's Day? I think so! Anything heart shaped is great for Valentine's. 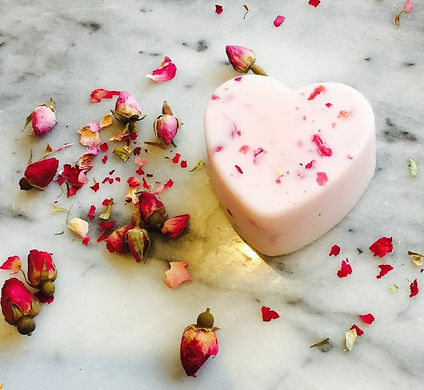 But heart shaped lotion bars full of real rose petals makes us swoon. It's no wonder 4 Twisted Tarts products were included in last year's Emmy swag bags. Flowers by Nini makes adorable paper flowers that are perfect for weddings and home decor. This Valentine's Day Flower Garland is so cute you could leave it up year round! 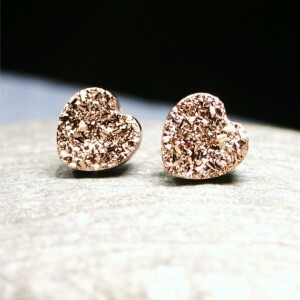 If you don't feel like sporting red this Valentines Day, you can at least wear heart shaped earrings! Love how these would work while your at the office or on a night out with your sweetheart. These studs by Walk on the Moon might just be the most adorable druzy earrings I've seen yet.
. A dreamy pink makeup bag would make a perfect Valentine's Day gift for her. Plus it's something she can use year round. Win-win. If you need a special card for your special someone snag one of our premium XOXO cards. But hurry, we're offering free US shipping on this card only while supplies lasts now through Valentine's Day! This set of 3 distressed mason jars are so cute to punch up your Valentine's Day decor. sells hundreds of mason jars and candles. 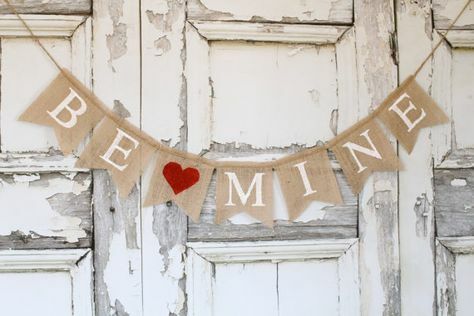 would make a great prop in your wedding pictures and double as a Valentine's Day decoration you could pull out each year as a sweet reminder of your wedding day. look amazing! It's funny. When you bake with a toddler, your baked goods stop looking like the pictures on the front of the cake boxes. What are your favorite Valentine's Day things? 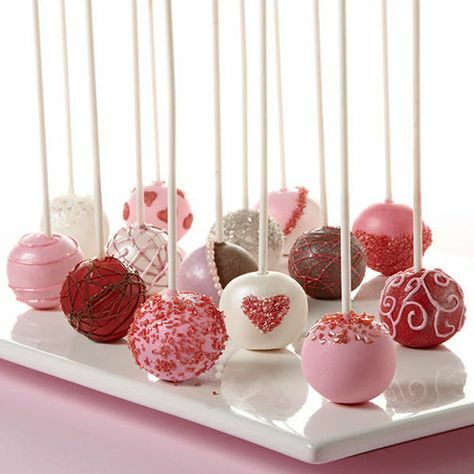 I hope you'll be able to draw some inspiration from this roundup to create a sweet and memorable day with your loves! PS. We're redesigning our site www.RaleighCalligraphy.com! We're so excited to show you the changes REAL soon. In the meantime, we're keeping our Etsy shop open and orders will not be interrupted. Happy shopping!